There is absolutely nothing at the moment that rivals these amazing makeup geek foiled shadows. They are so beautiful on the lid, inner corner, water line, wherever! This weeks makeup tutorial video certainly proves that. Watch it here or read till the end of the post where I will insert it as always. Makeup Geek recently a released a whole slew of stunning new eyeshadows which definitely calls for some shopping. Once I have my entire Z palette set I will certainly review them in full with swatches and what not. Here is the list of every product used. 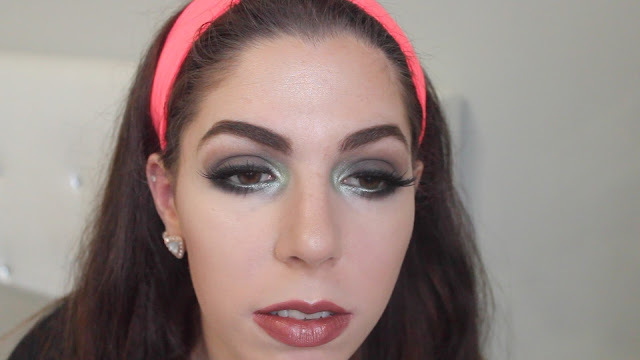 I also added in some of the products on my face and lips as this was tutorial was solely on the eyes. Smash box Limitless 15 Hour Wear Cream Shadow in "Stone"